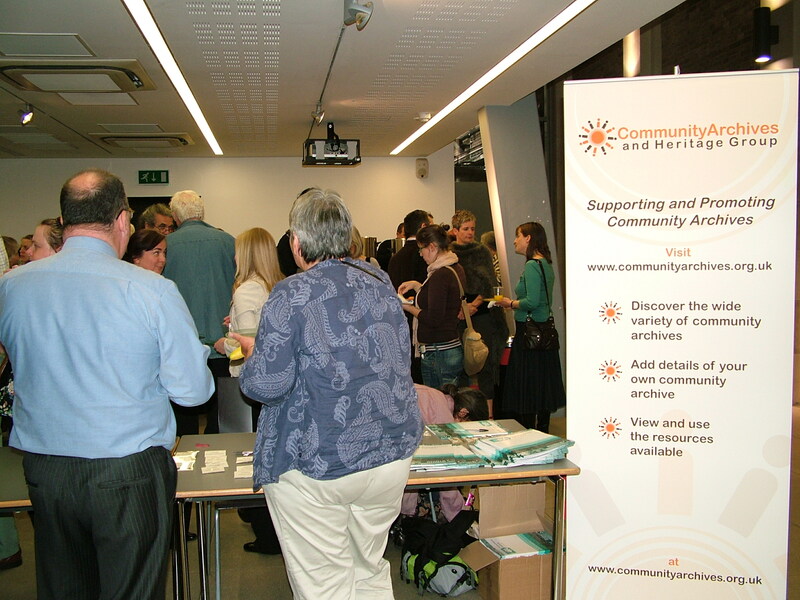 The Community Archives and Heritage Group met at University College London on Wednesday 22nd June 2011 for their fifth annual conference titled “Telling Your Story: Challenges and Opportunities in 2011”. It attracted over 120 delegates from a huge variety of organisations ranging from national institutions and corporate archives to smaller, independent local history and special interest archive groups. 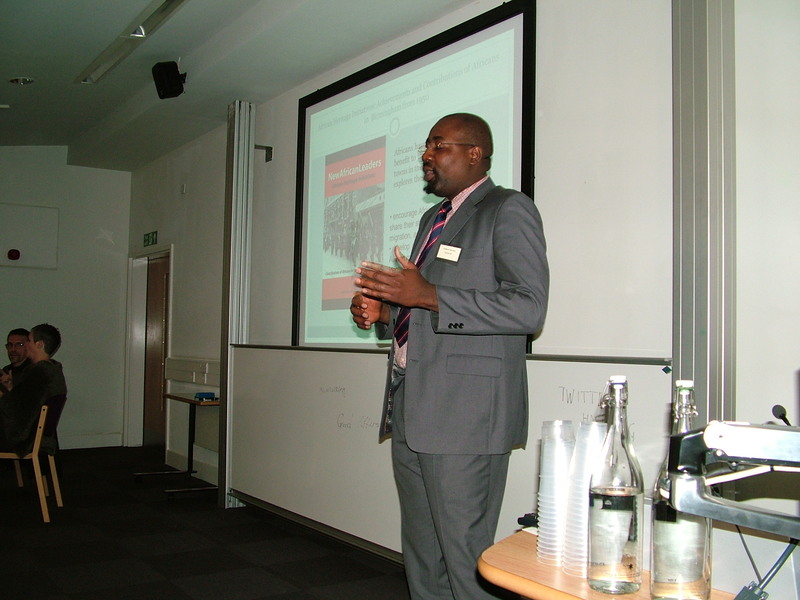 The morning session highlighted the ‘Big Picture’ for community archives within the UK . 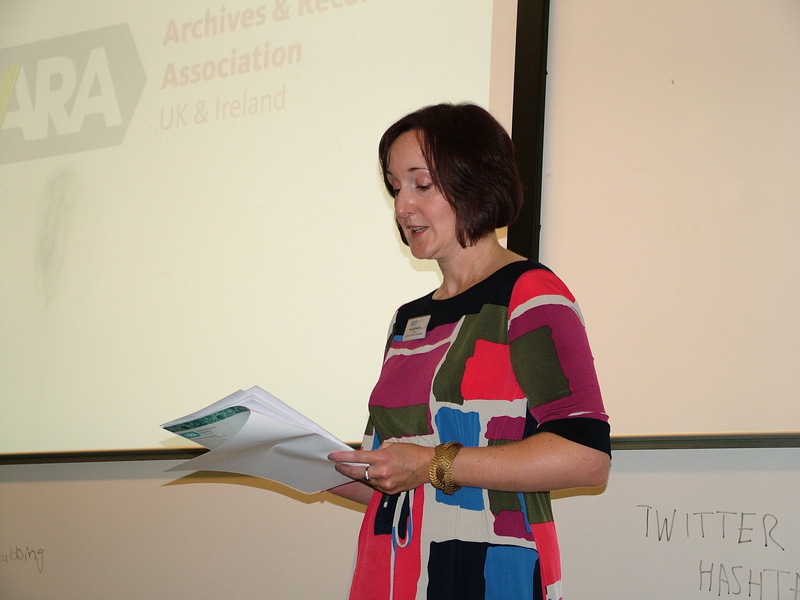 Katy Goodrum, Chair of the Archives and Records Association (ARA), opened the conference with the keynote speech focusing on the achievements of last year including ARA’s increased membership (there are now 2200 members), the role of volunteers in a post-custodial world, and emphasising the fact that community archives are an important part of the national archive landscape. “It was very encouraging being with a group of people – all excited by and committed to archives and archiving” Don Archer, Trull Parish Archive Group. 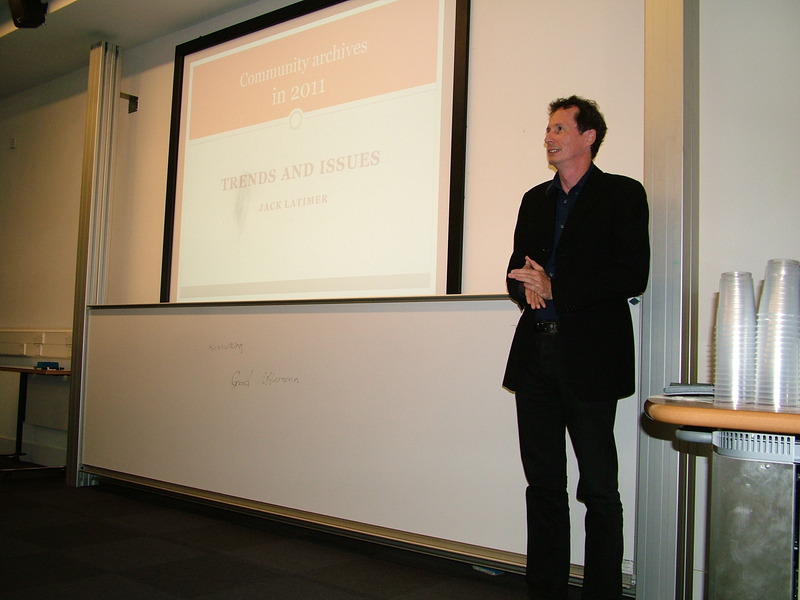 John Chambers, Chief Executive of ARA, raised concerns that there is little central government interest in community archives despite the contribution that they can make to the ‘Big Society’. On a more positive note, Jack Latimer from CommunitySites pointed to ‘Issues and Trends’ like the coming of age of community archives through better networks with professional archivists and shared interest groups, as well as a growing use and awareness of the importance of emerging technology. Jane Golding of English Heritage ended the morning presentations with her positive outlook on the importance of community archives and their value to local communities and history. The ‘Telling Your Story 2011 News Round’ section of the morning allowed community groups and independent archivists to showcase their current work and projects, which were delivered against the clock in five minute ‘Show and Tell’ presentations. First to speak was Frederick Ebot Ashu from the African Heritages Initiative who focused on achievements and contributions of Africans in Birmingham from 1950; this was followed by Beverley Small from Our Oxhey Community Archive, a web-based photograph and memory archive which emerged last year following a library tea party; Maggie Cole spoke about Feminist Webs, who have recently developed projects to promote inter-generational storytelling and recording which has resulted in an invaluable physical and online archive collections. This was followed by Clive Egginton who presentated his research project looking at documenting the untold Sheffield stories of today through a photographic medium. Geoff Cordingley from Hertfordshire Archives and Local Studies rounded off the Show and Tell with a demonstration of their online archive of diaries and letters which have been brought to life through audio recordings by local volunteers. The afternoon session began with Gilliam Edom of West Sussex Record Office who summarised the “Joining up our Heritage Project”, which focuses on using tithe map resources to link old and new data and document local communities. Using technology effectively was a strong theme throughout the day and Elaine Davis, the Community Archives website administrator, highlighted the continuing importance of website contributors maintaining up-to-date information. Jess Thomas provided an overview of the Accrediting Community Archives scheme developed by West Yorkshire Archive Service.The guidance provides advice that allows community archives to develop within a structured approach. It embraces community cohesion and aims to bring groups together to exchange views and information. The scheme provided additional training for a number of community archives who have already achieved accreditation to allow them to pass on their knowledge to groups who are just beginning the scheme. While the service can only accredit archives within the West Yorkshire region, they are happy to provide guidance on establishing similar accreditation schemes elsewhere. The afternoon session was completed with a presentation by Janet Nixon from Surrey History Centre who reported on a project where drama students used archival records from a former mental hospital to raise awareness of mental health issues. The students performed the project to Surrey’s secondary school pupils and a filmed version of this performance will be made widely available in autumn 2011. Highlights of the film were screened at the conference, illustrating how anonymisation can make closed material and difficult subjects accessible. The use and application of technology and a focus on cooperation and communication were strong themes throughout the conference. The existing developments in these areas mean that the Community Archives and Heritage Group is in a strong position for the future.